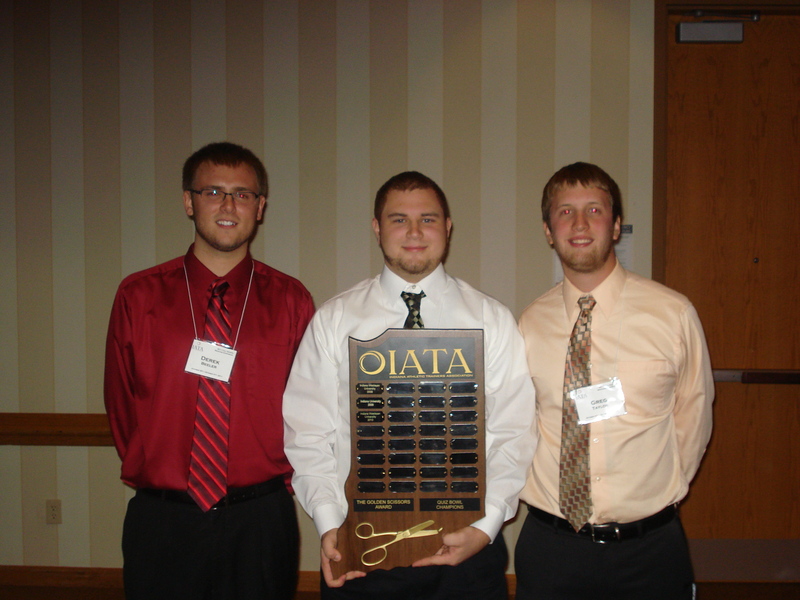 The IATA began hosting the Quiz Bowl competition for students in the athletic training educational programs in 1996. Year-by-year, Quiz Bowl has grown in scope and is currently one of the most popular events associated with the annual Fall Meeting. Quiz Bowl is a three-round tournament open to all students currently enrolled in a CAATE-accredited athletic training education program within Indiana. The first round consists of general athletic training knowledge multiple choice questions. Rounds two and three are Jeopardy-style culminating in a Final Jeopardy question to determine the champion and winner of the IATA Golden Scissors. The winner from Indiana each year competes in the GLATA Quiz Bowl held at the GLATA Winter Meeting against the winners from the states of Illinois, Michigan, Ohio, Minnesota, and Wisconsin. The winner from GLATA represents District IV at the NATA Quiz Bowl held at the NATA Summer Meeting.